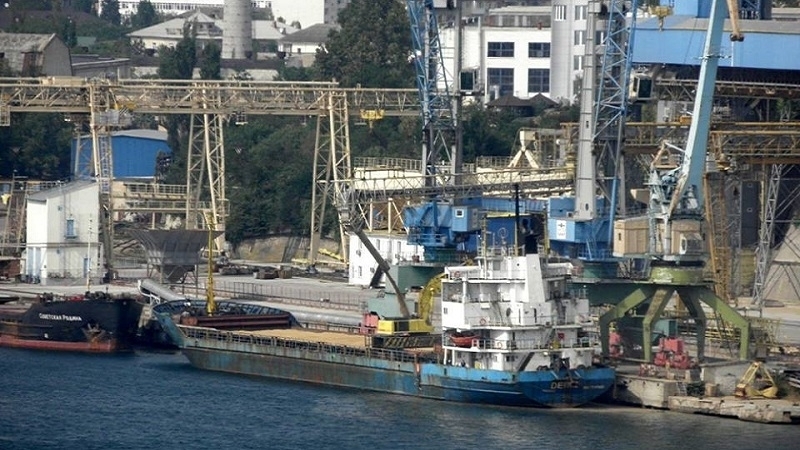 The dry cargo ship DENIZ, which arrived from the occupied Sevastopol to the Istanbul port of Ambari, indicated that it was allegedly coming from the Russian city of Temryuk, the head of Maidan of Moreign Affairs project Andrei Klimenko reported on Facebook. “Without any tricks, an obvious or insolent, if you like, fact of violation of the decision of the Turkish Government of October 6 this year on the prohibition of the receipt of ships from the ports of the occupied Crimea occurred on October 18. About 3 p.m. local time dry cargo ship DENIZ arrived from the occupied Sevastopol to the Istanbul port of Ambarli. The provided data indicated that it was sailing from Temryuk (RF)." Klimenko informs that soda in the amount of about 3 thousand tons was supplied from the Crimean Soda Plant. The map shows that after leaving the Turkish port of Bartin on September 20 this year the automatic identification system (AIS) equipment was disabled, and was only turned on October 18 when approaching the Bosphorus. Klimenko states that the Prosecutor's Office of the Autonomous Republic of Crimea and the Prosecutor General’s Office of Ukraine should appeal to their Turkish colleagues on the matter. Earlier, on October 6, 2017, the leadership of the Chamber of Shipping of the Turkish Chamber of Commerce and Industry forwarded a letter "Certain Principles of Navigation in the Black Sea Regions and Crimea" to all subjects of shipping and port business. The letter indicated the need to take measures based on the foreign policy of Turkey, connected with the restrictions imposed on the entry of vessels into the ports of Crimea.